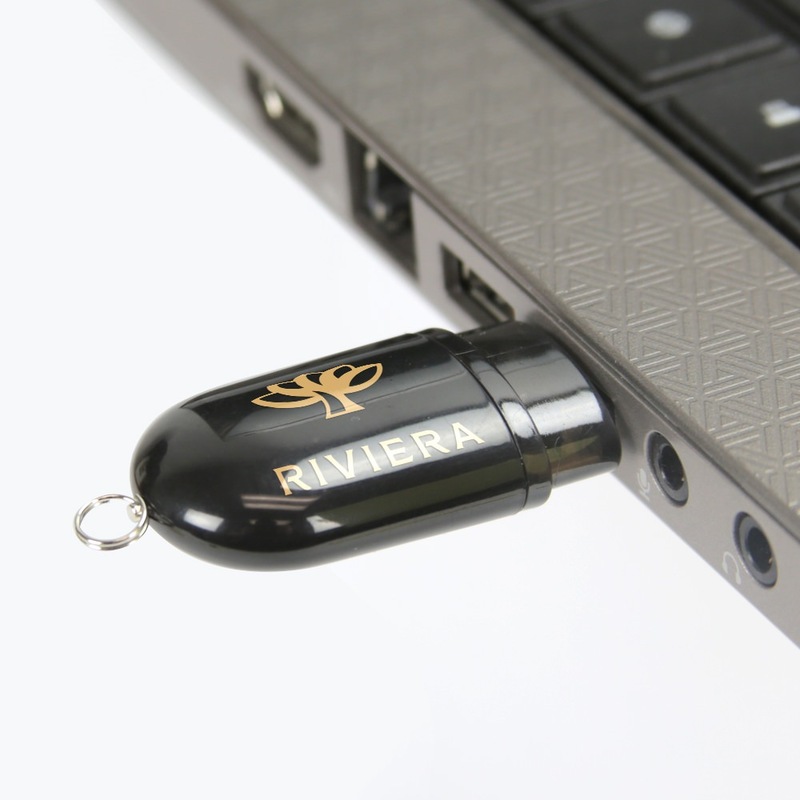 The Posh memory stick has got glamour, style, and storage space to spare! 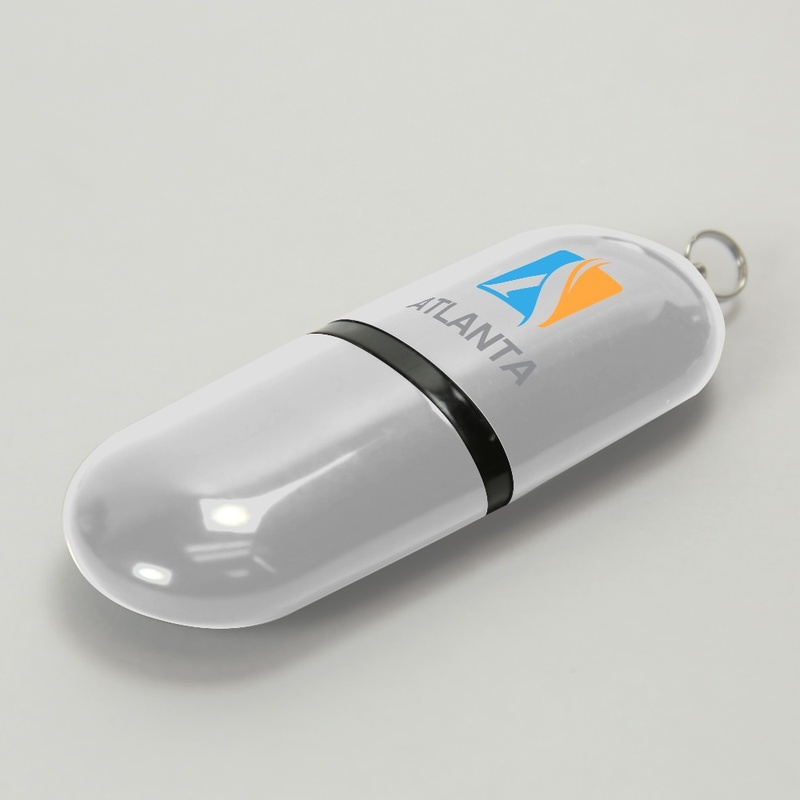 This classy and fun customizable USB stick comes in a sleek plastic design with a removable cap. The Posh dazzles in black, red, white, or purple colors. 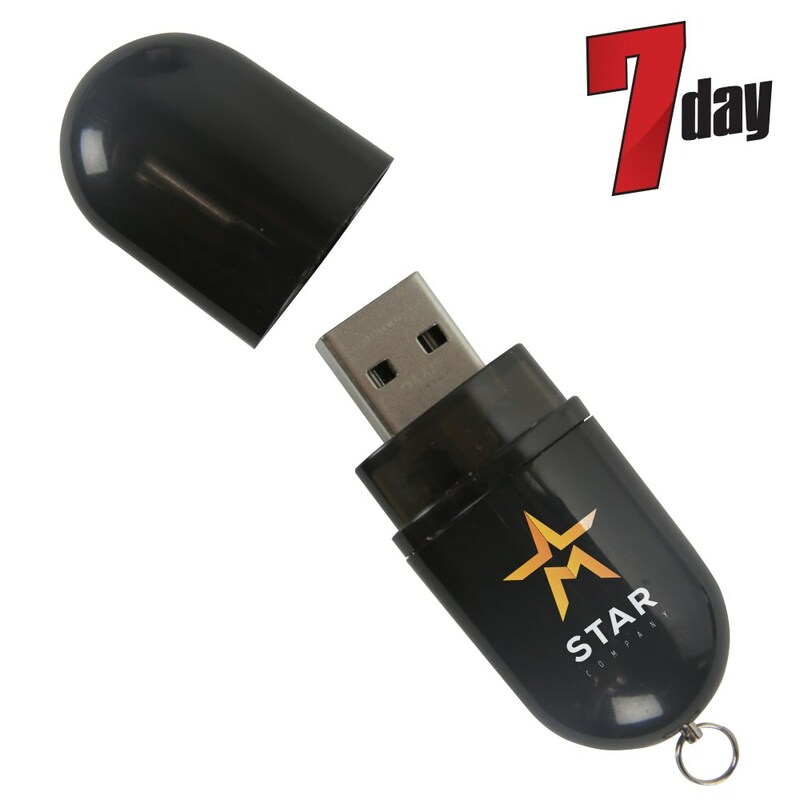 It’s adorned with a black band between the removable cap and the USB drive, and has a key ring that makes it easy to transport. The Posh has storage capacities ranging from 128MB to 64GB and comes with a limited lifetime warranty. The Posh is available with 7 day service and comes with Free 4-Color Silkscreen Printing. Looking to add some glamour and glitz to your data? The Posh drive is a fashionable and forward-thinking piece of data storage technology. The drives comes in a sleek plastic that dazzles in black, white, purple, or red colors. 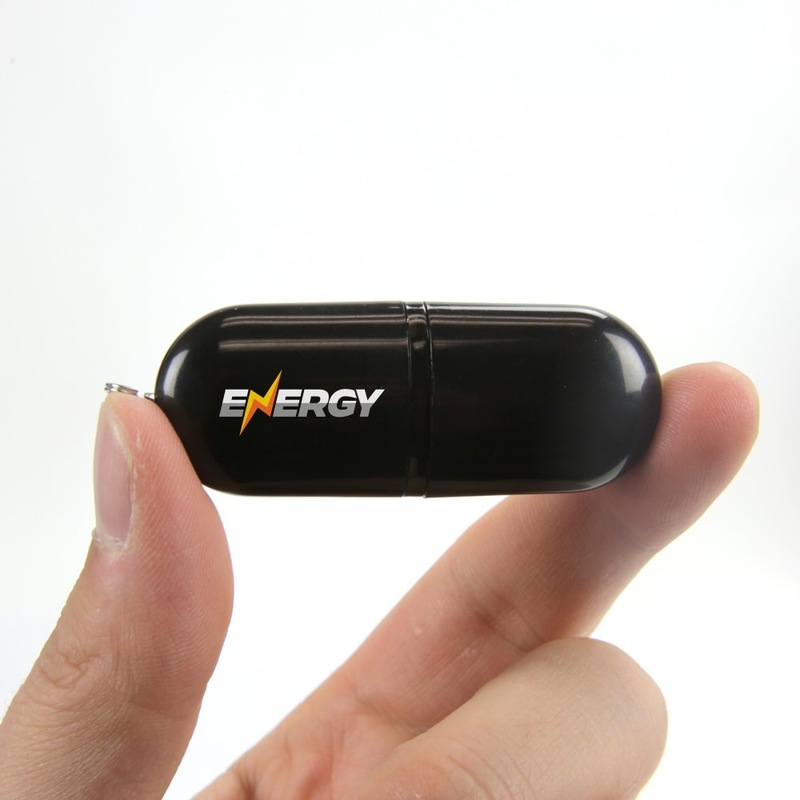 It has an eye-catching black band between the removable cap and the USB drive . It has a key ring that makes it easy to attach your Posh drive to belt loops, straps, laptop bags, and any other area where you want to add some compact class. The Posh isn’t all about aesthetics, though: It’s a highly efficient and effective flash drive, with storage capacities ranging from 128MB to 64GB! It comes with a shock resistance of 1,000G, up to 10 years of data retention, and a limited lifetime warranty. It’s perfect for storing your documents, pictures, multimedia, videos, music, and other important files. 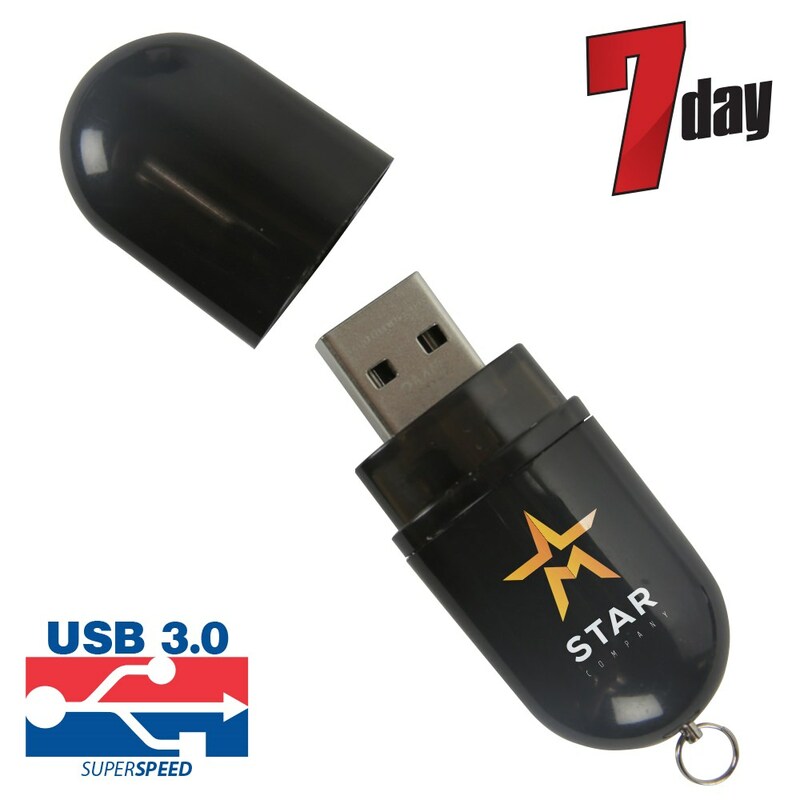 Order the custom Posh USB with free shipping and it will arrive fashionably on time within 7 business days. The Posh comes with Free 4-Color Silkscreen Printing so you can customize your drive with a company logo or personal brand to make it the perfect branded memory stick.